Home Hoof Trimming You Want Me to Build a Dry What? You Want Me to Build a Dry What? 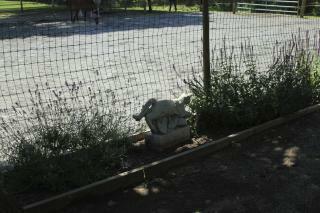 As I travel, I not only observe the horse’s feet but also the environment they come from. 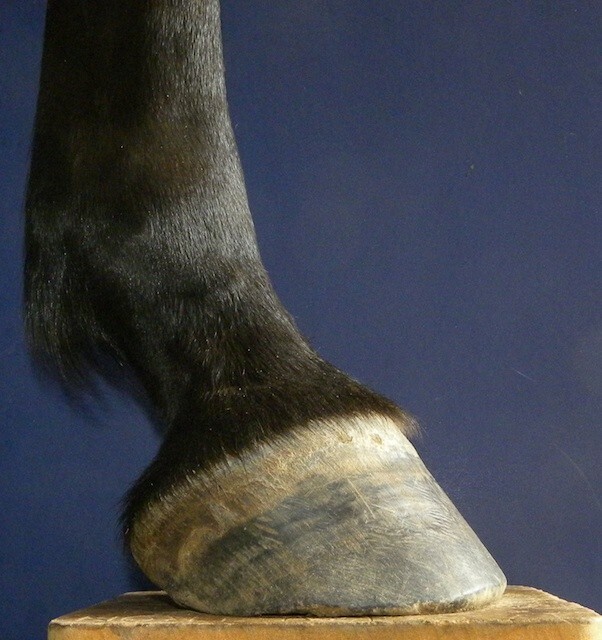 The influence of the environment on the horse’s foot is incredible. 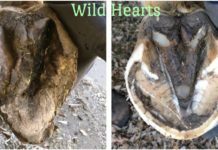 Even in our local Northeastern area, an ambient humidity change can create a tremendous difference in the horse’s foot. 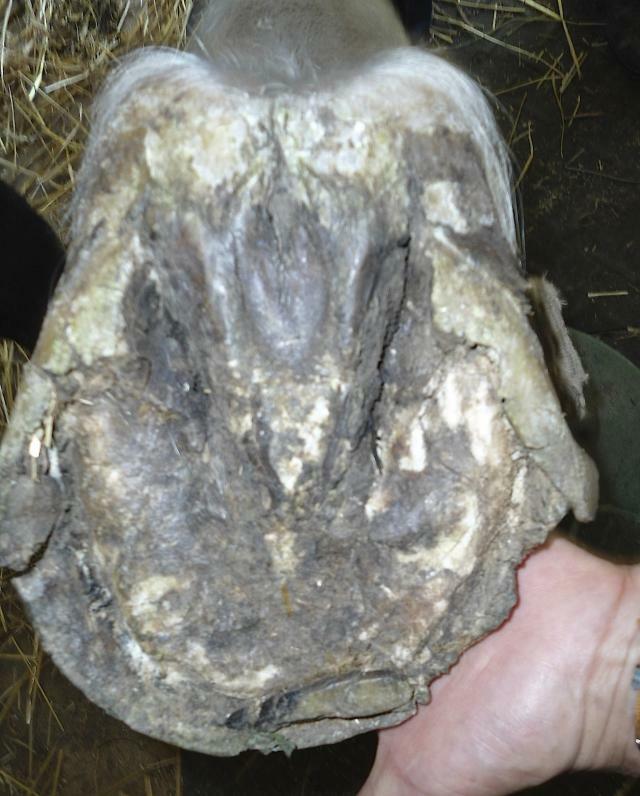 The footing the horse stands on, exposure to moisture, and amount of ground traveled, can all lead to significant changes in the foot. We all have an image of the ideal foot being compact, dry, hard and well callused, able to travel over any terrain barefoot with no soreness. 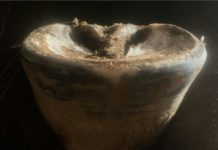 And it most cases that would be a very functional foot, although extremes of anything can be dysfunctional of course. Here in Pennsylvanie and the northeast we deal with a tremendous amount of moisture. We have a lot of rain, and the humidity averages 60-80%. 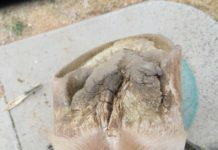 Therefore in the general population, our horse’s feet tend to be soft, with a lot of flare, concavity that isn’t functional because our soles tend to be thinner with a lot of flexibility. We get massive amounts of thrush, white line disease and abscesses. 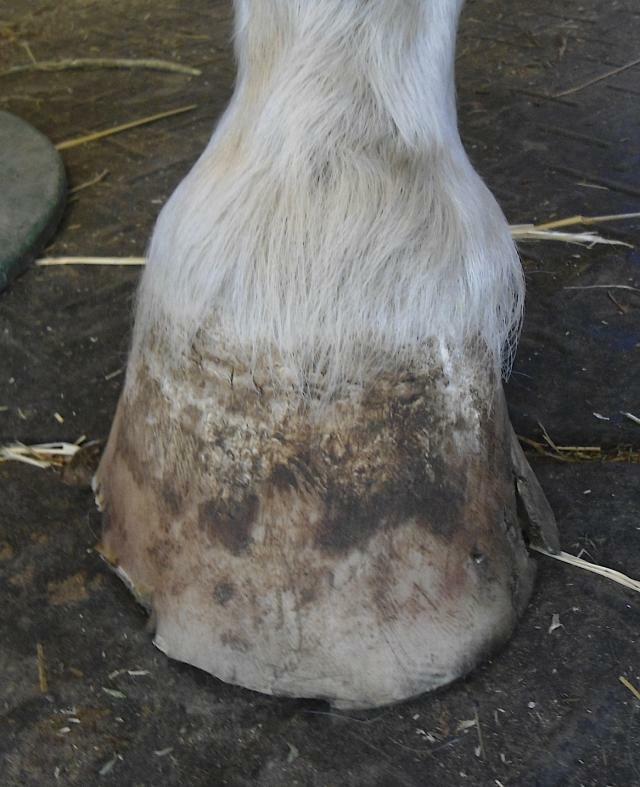 Hoof cracks can be rampant. So we often have to artificially create the environment I see in other areas, mainly the western half of the country: environments I drool over! I’ve decided one of my missions in life amongst my own clients is for every farm to have a true dry lot. A dry lot does not just mean no grass (also called a sacrifice lot), rather a dry lot to me is an area where there is abrasive footing and no mud. A dry lot is an area that a horse can condition his foot in, stay out of the wet and mud, and of course, stay off the grass. It can be used to rest your pastures, it can also be used to control turnout for a horse with an injury, and can keep your metabolic problem horse safe from over grazing. A dry lot is a very useful space. 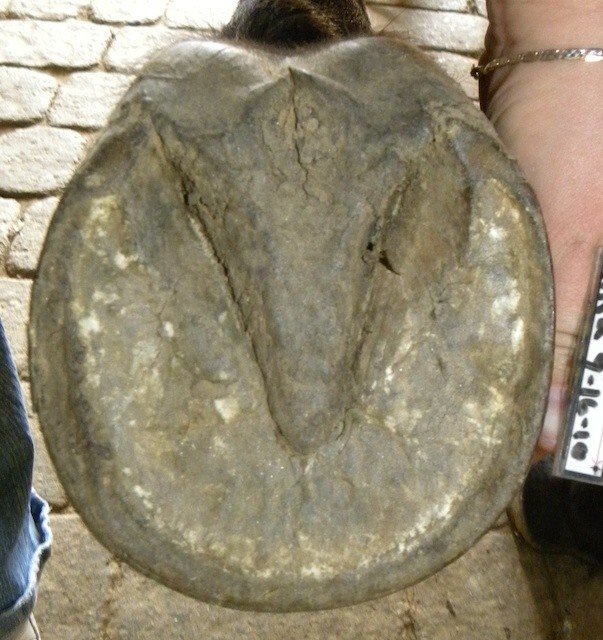 Example of a Pennsylvania horse’s foot kept in a dry lot. So I have to wonder, does anyone in an arid climate build a “wet lot”? 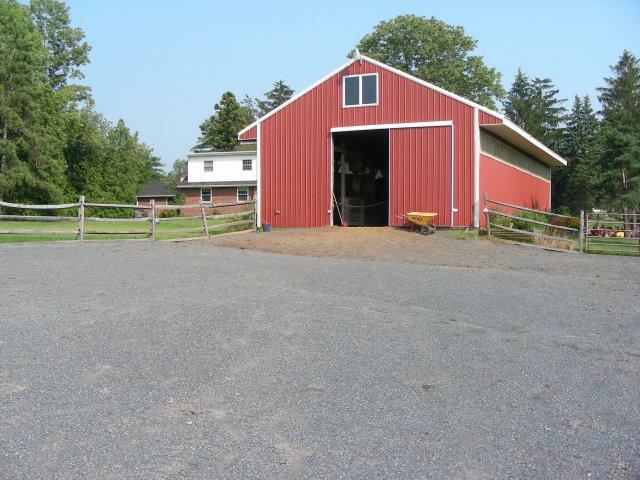 For more examples of dry lots built by my clients please see daisyhavenfarm.com/hoof-health/environment/dry-lot-examples.